Prepping is self-sufficiency (if all hell breaks loose tomorrow, I’ll be ready). Homesteading is self-sufficiency (I would rather control what I eat and use in my home than government or other parties). I think prepper just has a more manly vibe to it. Wow, I probably just lost half the crowd starting with that. Keep these in mind when checking out the following recipes. I like to get my oils from Plant Therapy because of their great prices, high quality products, and availability through Amazon, but if you’ve got a favorite distributor, go through them. Mix all of the ingredients and pour into a small spray bottle. To use, spray into you hand, rub hands together and smooth on face post-shave. Soften the shea butter and coconut oil, mix by hand or using a blender. Store in the fridge. I discovered that those travel soap containers that they sell at most box store are perfect for storing this cream. This one is perfect if you’ve got a straight razor, but it works with standard razors as well. Soften the shea butter and coconut oil. Add in the almond oil and essential oils. You can mix by hand, but I’ve found an electric mixer does a much better job. Let it chill in the refrigerator until it’s solid. Put it in a blender (or use an electric mixer) and whip until it’s a light and fluffy cream consistency. Spoon it into a jar and you are good to go. This is a rinse-optional cream. Rubbing dry is sufficient, but if you want to rinse after, you certainly can. Caution: If stored at a high temperature, coconut oil may cause separation. It’s wise to keep this is a cool dark closet or somewhere not exposed to bright sunlight or heat. Dry shampoo is great for everyone’s hair. You can use this recipe and use your man-friendly essential oils. You can use this recipe for homemade deodorant, again using essential oils more appropriate for men. I have noticed that switching out the corn starch for arrowroot has had better results for men. 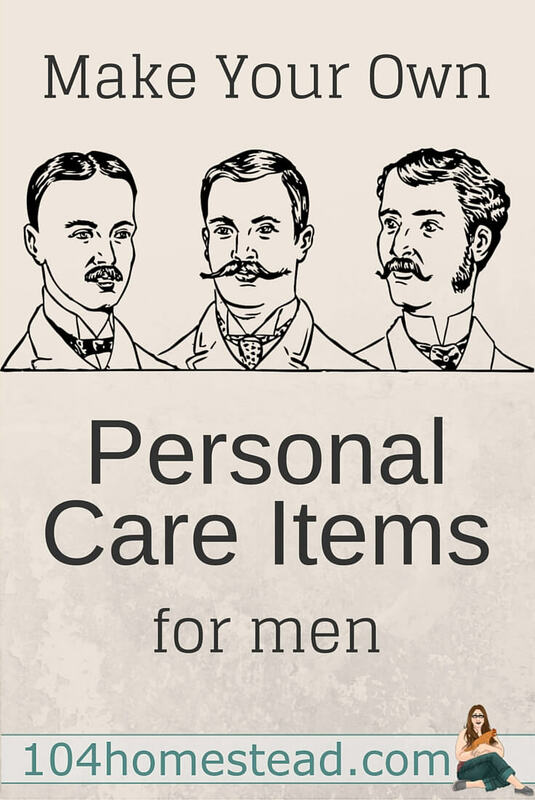 I hope you all enjoyed these recipes for homemade men’s products. Before I go, I want to do a shout out to my favorite male homestead bloggers. These are guys you’ll want to follow. Patrick at Survival at Home is also a rock star in my book. He’s got a great balance going between survivalist/prepper content and the day-to-day do it simple content. I’m always getting great ideas from his site and if I ever have questions, he’s right there with the answer. Blake of Daddy Kirbs Farm brightens up my day. Not only are his posts incredibly helpful, but I am in love with this YouTube videos as well. With his son, Luke, by his side, Blake shows you how he homesteads where he lives and you can tell he has a lot of fun doing it. 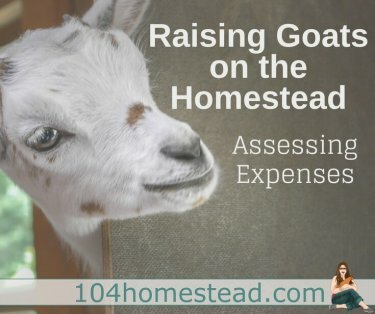 Gregg of The Rural Economist dabbles in all aspects of homesteading, from how-to’s to food production, and yes, even hunting. Gregg is a down-to-earth guy and he’s wonderful about answering any of the questions I pepper him with. He’s got a forum on his site where you can engage with other homesteaders. Husband and wife duo, Jo and Eddie, have a blog called Homestead Chronicles that is really worth checking out. They cover pretty much everything a budding homesteader could want. If anything, be sure to follow their Facebook page where the two of them have so much fun interacting with fans. Jared of J&J Acres is my YouTube guy, and not even always on purpose. I’m a visual learner and often when I google a how-to video, it’s Jared who shows up first on the list. I’m pretty sure I’ve seen every one of his videos at least once. What I absolutely love is his transparency about what works and what doesn’t. Do you have a male homesteader’s blog you enjoy reading? Comment below. Thanks, I saved this on pinterest to try later. I do not have any of the ingredients yet for the shaving “recipes”. My husband is one of the lucky people that never needs deodorant, so I don’t have to think about that one! Those look awesome! For any of the other Manly Men out there looking to get rid of that “goo in a can” this is a great alt. I just used that shaving cream in a can to condition my daughters softball mitt. It worked great for that. Not so good for the face. Thanks, Jess! It is funny. My readership is 88% female and apparently they like what I say even though it is very much from a male perspective. I like homemade anything. Anytime I can make something at home and not have to support companies that I don’t like it is a win for me. Thank you for this post. And thanks for reaching out to the men. Love this! 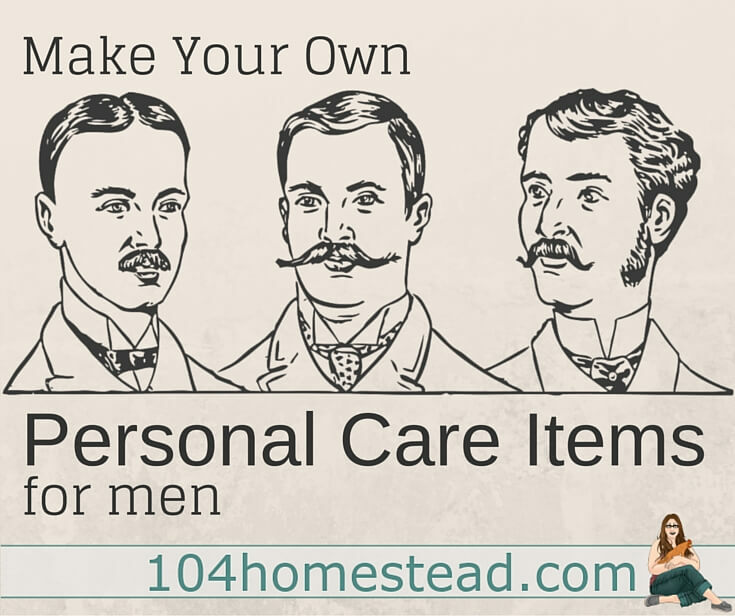 Glad we have a couple great ‘manly men’ in our Homestead Blogger Group for insight. I just planted two witch hazel bushes a couple days ago. Now I have another use for them when they mature. Great to know! Glad you’re here, as my tips are a little less helpful. My daily manscaping regimen includes dry-showering by rubbing pine needles everywhere for that fresh car scent… and shaving with a finely honed Ka-Bar. Soap is for sissies!